Optic pathway gliomas are a type of tumor that occurs in 15-20 percent of children with the cancer-predisposition syndrome, neurofibromatosis type 1 (NF1). Most of these tumors are diagnosed by age 6 years, and up to half of children with optic pathway gliomas may experience vision loss. In general, tumor management is focused on preservation of visual function. In order to minimize treating patients who would not lose visual function, treatment is typically withheld until there is evidence of a decline in visual function. Because surgery is generally not an option for optic pathway gliomas, chemotherapy using carboplatin-based regimens is usually the frontline therapy. At present, there are no proven prognostic factors to determine which patients with optic pathway gliomas are at risk for losing vision and which may benefit from treatment. 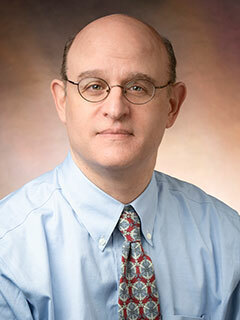 Researchers at the Center for Childhood Cancer Research (CCCR), including Michael J. Fisher, MD, are leading a large (25 hospital) prospective clinical study to identify evidence-based clinical criteria for treatment initiation for children with optic pathway gliomas. They’re also working with a consortium of other hospitals to identify whether there are molecular changes that cooperate with NF1 gene loss that predict disease progression. In addition, several early stage clinical studies are evaluating the effectiveness of certain targeted cancer therapies as a treatment of NF1-related optic pathway gliomas. Researchers at the CCCR have led an effort to define outcome measures that can be used to assess whether a specific treatment can preserve vision or prevent vision loss.